Get Ready! The force of the Rhino is upon us once more and it means business! 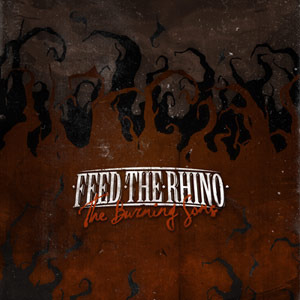 Feed the Rhino return with an absolute BRUT of a record - The Burning Sons. With their ferocious mix of metal and rock n roll - this band are here to change the game! After the intense 18 months of touring things had to eventually holt and a new project was born. Make no mistake about it, the band have the full intention of enlightening every mind that encounter's "The Burning Sons", the long awaited 2nd Rhino album. Being the best is EVERYTHING to this band and the belief that making music should be about innovation, experimentation and basically blowing up the human consciousness is the aim for the new record and every "Feed the Rhino" project.